The Portland Timbers will look to make their way back to the MLS Cup in 2019. They reached last year's title game for the second time in their history, but fell short to Atlanta United FC, 2-0. The 2015 Major League Soccer champions are set to embark on their ninth season in the league. The season kicks off on March 2 with an away match at the Colorado Rapids. 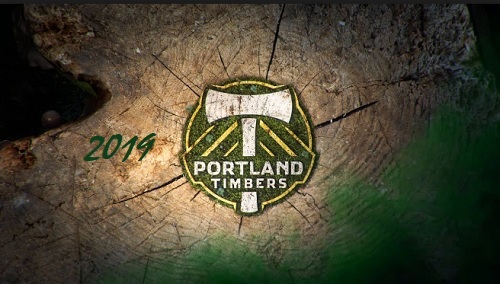 In fact, the Timbers do not play a home game until June 1 when they host Los Angeles FC. That makes for their first 12 games on the road. The Timbers have a 10-game homestand in August and September, and play 11 of their last 12 matches at the very friendly confines of Providence Park. The Timbers also feature pairs of home-and-away-games against Cascadia Cup rivals, Seattle Sounders FC and Vancouver Whitecaps FC. In the schedule below, nationally televised games (ESPN networks and Fox Sports 1) are noted, as are regional broadcasts (ROOT Sports), and local Portland area broadcasts (KPTV/KPDX). All Timbers games are broadcast on one of those channels. The Timbers play their home games at Providence Park, located at 1844 SW Morrison in downtown Portland. The location was originally used as a field before the actual stadium was constructed and completed in 1926. Providence Park has a capacity of 21,144, with expansion underway to add approximately 4,000 seats. This accounts for the extended series of Timbers road games over the first three months of the season. The stadium is also home to the Portland State University football team, the Vikings, as well as other sporting events. DC United -- Audi Field; Washington D.C.